I agree with all your points- but will they ever listen and learn? Probably not…. but I for one would be willing to spend a couple of days talking to a manufacturer if I thought they would listen. Wow, quite a read! Thanks! And give us a decent payload. 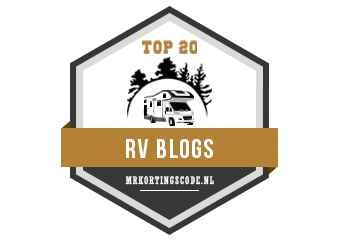 The current offerings are useless for a holiday of more than a weekend when motormovers, which are becoming more and more a “go to” option, weigh in at 30kg, single axle, or 60kg for a twin. Indeed…. I looked at the payload ratios on some American and Australian manufactured trailers and on average that have at least double our capacity. Agree with everything plus why fit grab handles that you cannot move the van with(Manufacturers say) instead fit movers to all vans. Never tried to move our van with the grab handles… always worried the screws would just pull out of the caravan’s frame. I’d be happy if they cou;d just have good quality control in the manufacturing process. No they will not, the caravan industry is still working in the stone age. Many years ago I went on a tour of the Swift factory and asked the guy showing us round if he ever used a caravan? Reply “No but my Mum and Dad have one”. I rest my case. Not only do the Manufacturers design departments need sorting out, more urgent is the question of quality control which most manufacturers do not seem to have heard of. I belong to a small caravan club of only 200 members and of the 10 or so members who purchased a new caravan last year only one has had no faults. One member has had to have a new FLOOR fitted and lost most of the year’s events as it has taken 3 months + and it is still not sorted. I absolutely agree with your comments but, as your post is read by manufacturers and has a wide audience, could I add a few extra points. Why oh why can’t the manufacturers give us some choice? I’m thinking in terms of the type of fridge, toilet, heating, upholstery, curtain and carpets. We had to wait almost 6 months for our caravan so it wasn’t off the peg so to speak, so if I wanted a ceramic toilet with a digital control, why couldn’t I? If I wanted digital controls on my fridge why couldn’t I? If I don’t want blown heating and want Alde fitting why not? If I liked the upholstery of a different van why couldn’t they put it in our van? And biggest of all why do they seem to think that it is practical to supply a cream carpet? I have yet to lay a supplied carpet in any of my vans. Car manufacturers can offer alternatives for their cars so why not caravan manufacturers for their vans? Yes it would incur a cost, but doesn’t everything? They must have these alternative options in their factory for the ‘higher spec’ vans but why couldn’t they upgrade items in the ‘lower spec’ vans? I’ve walked away from caravans that have, to my eye, awful or impractical upholstery combinations, what more do I need to back up my argument? I would love to have a day in a factory with the designers – I’d even bring my own sandwiches! Most automotive manufacturers now offer some form of ‘pick list’ of factory accessories when buying a new vehicle. I think this is in response to not having the offerings required and seeing lost revenue to after market accessory manufacturers. I would have thought that with caravan and motor home production runs being smaller, that some flexibility could be introduced in manufacturing however, the sales model is not suited for this to happen. Caravan and Motor Home manufacturers launch a model and the pressure is then on to get the retailers to commit to buying a number of units for the coming year. With these figures known, the manufacturer commences production of that many units. You can always tell at the end of a season which units didn’t sell as well as these are often offered with big discounts by the dealers to clear them for the next season’s line up and in some cases are still on offer with huge discounts through the following sales season(year) Popular models will often be sold out by the end of the season and hard to locate the last few if you want one. The challenge that the manufacturers face is releasing a new line up each year. With vehicles, the base vehicle is expected to last for several years with MLU’s (Mid Life Updates) scheduled within this. Maybe this is how caravans should be manufactured and sold. I would really like our next caravan to have an instant water heater… but that may only be offered in a particular model which doesn’t suit our needs. Having the option to say we want a rear twin bed, mid bath with internal water tank, instant hot water, 200 watts of solar would cause me to get my check book out immediately and place an order. A very enjoyable read Simon and whilst I don’t wish to over patronise, I would happily propose you to the National Caravan Council (Technical & Design Dept.) – if such a dept existed. Anyway, not sure where to post this request for advise… it loosely relates to your comments about tv/radio connection points. Our 2017 Unicorn Cadiz has the tv aerial sited in a front overhead locker adjacent to the JVC radio which is directy below one of the two speakers. We use a ‘stand alone’ Samsung Smart TV at the front of the van and as you have observed, the speakers in the very slim TV provide questionable sound reproduction. Is there a simple method of linking my TV to the radio speakers at the various connection points in the overhead locker? We have an Avtex TV at the moment and all I did was use the headphone socket in the TV to connect to the AUX input of the radio. Simple to do although it did take a couple of hours to run the cable through. The sound output is far superior in my opinion and the added advantage being we don’t need the volume turned up quite as high as we think the sound – especially spoken word – is a lot clearer. Too many years with aircraft engines methinks! I have seen small units that can plug into the audio output/Scart output that converts the audio into a bluetooth signal if your radio is one equipped with bluetooth. I’m grateful for your prompt reply Simon. I’ll pop in to my local tv supply shop armed with a photo of my caravan tv connection unit. I too suffer from a slight muffling of sound undoubtedly attributable to 25 years of Royal Navy service and the many hours duty as Flight Deck Officer on helicopter carrying warships & towards the end of my career, living in a cabin directly below the Sea Harriers landing spot on HMS INVINCIBLE! Just like to say, Thank you for your service sir. Sadly not appreciated by enough people. Hi Simon, I totally agree with you and others who have commented on the incompetence of caravan designers. Why a cream carpet?do they think we all use hardstandings and tarmac paths, mind you the clubs would like that too. I prefer small 5 van sites personally. My van is now six years old but I would not change it as I put a lot of work into modifications I’ve done. The designer would not recognise his original product, either inside or out. If we can see the faulty design why cannot the manufacturers. One thing I really wish for is central locking for all the hatches – I have 11 individual locks and its a pain operating and checking so many, when such systems have been tried and tested in the automotive world. On a similar theme, why cant we have windows that can be closed with a single catch instead of between 2 and 5 each? Abroad when its hot, having secure all these before going out is a real hassle on a big van. I agree with Mike, I have done a ton of things to our van, which as far as possible has utilised factory fittings and finishes to maintain the correct ‘look’, but corrects design errors and improve usability. If an amateur can spot these things…. Agree with you 100% – and, if I may, I will add jacking points (or lack of) to the list of gripes. I know that changing a wheel at the side of the road can be challenging and dangerous but it’s made a thousand times worse without a decent jack and somewhere to actually attach it safely. Agree 100% on all the above. And, of course, what about jacking points (or the lack of).